If you're looking to locate repo boat auctions in your state whether it be Florida or California then this article will offer you a great place to start. The local newspaper, trade publication, or boating magazine just isn't going to give you up to date repo boats information compared to the internet. Searching for or purchasing a repossessed boat has its obvious pros and cons. First, obviously the major advantage is the discounted price point. On average most boat liquidators like National Liquidators or Boat Auctions Direct will tellyou that statistically buyers save around 20-30% buying a repo. But, anyone can dramatically improve upon that stat with usinga couple cool tools that enable anyone to compare a lot of boats at auction. If you were to review online or physically survey 20 specific repo boats i.e Triton Bass Boats within 2 weeks you're going to probably find a boat with minimal or no damage offered around 25% under market. However, review 100 to 200 boats in about the same time and you're going to find the boat deal of the decade. These are boats where you can potentially purchase $50,000 worth of equity for $25,000 or less. The con to all this is the necessary time and money investment it often takes to get it a repossession to either re-market orready to take out on the water. By the way this is how most repo boat liquidation companies serve lenders (banks and credit unions), attorneys, or insurance companies. Auction companies are well prepared to seize, transport, repair and maintain a boat before finally liquidating at any repo boat auctions event. Institutions like the D.E.A., I.N.S., FBI, or the U.S. Marshals Service all benefit by quickly and conveniently getting reimbursed for a respossessed asset that they don't have the time or expertise to handle. The good news about the above is that all the aforementioned institutions are about as motivated a seller as anyone you'll ever meet. And it will help to know what you can do as a repo boat auction buyer to continue to make it easy for the bank to close the book on their repo. Just because you submit the highest bid or offer to the boat liquidation company doesn't mean your offer will be accepted. Lenders will often have a reserve price initially. As time passes that reserve may be lowered or even removed especially when evidence of the boats condition or depreciation proves to be unfavorable. If you're offer meets the reserve but a competing buyer offers an all cash offer at a little lower price you may have been 'out bid'. Other considerations that lenders will evaluate is the closing date, if you require financing, repairs, transport, etc. Again, the bank wants to stop the bleeding and rid themselves of a depreciating asset and expenses for insurance, moorage, on going maintenance. The sooner you can help remove these problems the more attractive your offer is. The best thing you can do is to get updated as soon as possible when boats that interest you come available at auction as a boat repo. It is too time consuming to search Google when you have the time. And even if you were to consistently do that you would not hit all the boat auction resources out there. If you only kept tabs on Boat Trader for repos than you would miss a whole host of other auction houses that don't list their repos on Boat Trader. So you need to be able to frequent at least 10 to 20 of the top boat auction liquidators online to really 'stumble upon a ridiculous deal. 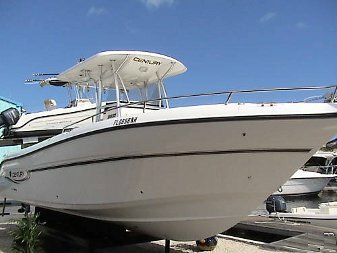 Sites like Boat Auctions Direct: http://www.boatauctionsdirect.com will give anyone a big head start to finding repo boat auctions online. This tool compiles and prune relevant boat auction sources that will save you the time andeffort from sifting every listing on Google. They're fee is small, one-time,and you get access for life. They're currently upgrading their entire search utility so those who get in early will avoid any future fee increase.